David is a charter member and Past President of the Rotary Club of Canterbury. David is the longest serving member of the Radio Team having joined in 2006. He is an advocate of the role Community Radio has to play in the publishing of good news, community stories. He has been a Service Club member for 33+ years, including the Gordano Valley Round Table in Bristol UK and Doncaster Apex. Prior to his retirement, he coordinated and delivered an MBA executive subject at RMIT Graduate School of Business and Law, and Open University Australia. David founded and managed his own counselling practice for some 25 years, with clients in all Australian states, New Zealand, near North, and the Middle East. His earlier career was with the RTZ group in Newcastle and Tom Price in Australia, and London HQ and Bristol, UK. While in Bristol, he was appointed as the Media Representative for the Chemical Industry Association for the South and West, and covered print, radio and TV. Married to Marilyn for 45+ years, they have two adult daughters and 3 grandsons. Ian shares roles in producing, presenting and working the panel on our rotary radio show. 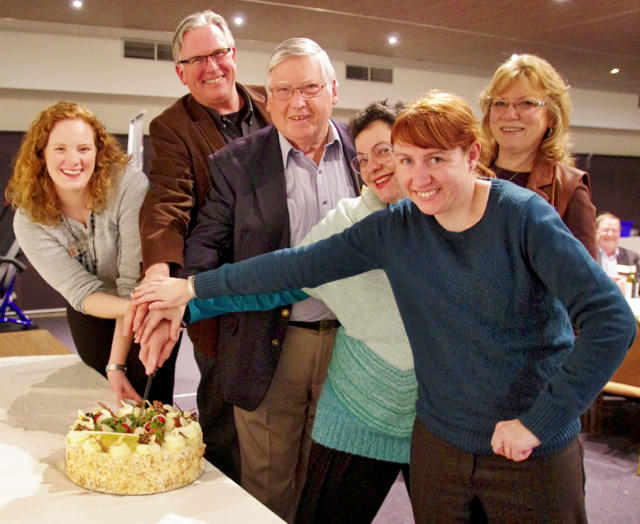 Ian’s Rotary Club Glenferrie is one of ten Boroondara aligned Rotary Clubs in Rotary District 9800. Ian has served both his Club and District as President and Executive Assistant Governor respectively. His shows feature interesting guests and a wide eclectic music mix. Ian’s work career has included senior management roles in both the plastics and electrical industries. Following his retirement he has been deeply involved in Rotary with its motto of ‘Service Above Self’. Fiona began producing Rotary and Community Service Radio Shows after attending the Rotary Youth Leadership Award (RYLA) as a participant and volunteer over several years, and has appeared as a guest on the program on occasions. With an interest in media and technical production, she holds a Certificate IV in Sound Production and uses this experience to operate the panel. She has also operated audio for various projects including amateur theatre, and has volunteered at 3WBC 94.1fm in an administrative role. Dror was born in Italy and lived most of his life in Israel. In 2005 he came to Australia to complete his studies in political science at the University of Melbourne. He met his wife, Natalie in Australia and he became a father of 2 now for Ariel and Maya. He has been working in various consulting and managerial positions within the travel industry during the last 8 years. He is passionate about business development, sales and targets. He enjoys seeing a business grow and grow together with the business. He started his involvement with Rotary at the club of Box Hill Central in 2013 and got involved with the Rotary and community radio show in July 2014. He enjoys meeting new people and creating relationships. Anne shares roles in producing, presenting and working the panel on The Rotary Radio Show. Anne’s work career has included Teaching English as a Second Language, English, French, Geography and History. Following her retirement from Teaching, she has become a Tour Guide (for Federation Square, The Shrine of Remembrance and the Melbourne General Cemetery) and a Volunteer Customer Service Officer for the City of Melbourne. She has been involved in a variety of roles and positions in Rotary International (District 9800) – as Secretary, President and Director, Youth Services with the former Rotary Club of Boroondara. Anne is a member of the Rotary Club of Canterbury. Being part of a community radio show has enabled Anne to express what Rotary is all about. She enjoys giving Rotarians and other Community Service groups an opportunity to discuss projects and to explain how these projects benefit members of the community.